There are many things that can increase profit, revenue and turnover of any business. The main function of generating business is promotion and it can be in different way like banner, off line seminar, exhibitions and online. Online business grooming and ignoring the online customers could be a wrong decision for any business. If you are business man and handling a business then you need a website to represent your business it’s not matter that you have small business or you are an owner of a big organization. Because it has been proved that there are many small web businesses has climb on success rock from a small platform but It’s really necessary to go with quality hosting platform so your visitors can enjoy uninterrupted web experience. Naturally we all don’t perform on sites those takes much time to download and just show round circle running on browser. Now customers need fast web experience and if you are unable to feel them such experience then your competitor will do that and finally you will close the door for you customer. I think now it’s not need to repeat that why web hosting is really important for your web business. 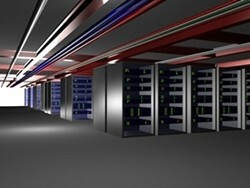 Now let’s know the various type of hosting and which hosting suit to your business. Shared Web Hosting - Most famous hosting type among small and mid size business because quite cheaper and affordable. As name is defining “SHARED” so many web site hosts in single server in this web hosting. Best part for this hosting is more affordable and worst part about shared hosting is it unsecure hosting as multiple sites shared single server. Even we recommend this hosting for start-up company those have less data base on their website. Dedicated Hosting - It’s totally opposite of shared hosting so it’s quit expressive but give secure environment because only one site host in server. Mostly preferred by big sites like ecommerce those have more confidential and big data and those don’t want to compromise from security. The best part of this hosting a site have less down time and unlimited way to customizing hosting but it’s quite expensive so it’s only worst thing of this type of hosting. VPS Hosting - VPS stand for virtual private server which is made with combination of shared hosting and dedicated hosting so it’s really famous hosting among web business. Now most of the business hire virtual private server because users get benefits of shared hosting and dedicated server through VPS hosting. It’s quite safe and affordable service and better from shared hosting in every manner but no doubt less grade from dedicated server. VPS provide significant space in server to users and that area is not shared by anyone so there are benefits of dedicated environment too. Basically there are the three types of hosting and some people can use other hosting types like word press hosting, ecommerce hosting and other CMS hosting which all are serving on above manner. So you just need to get updated with basic hosting information that will support to change gear of your business.